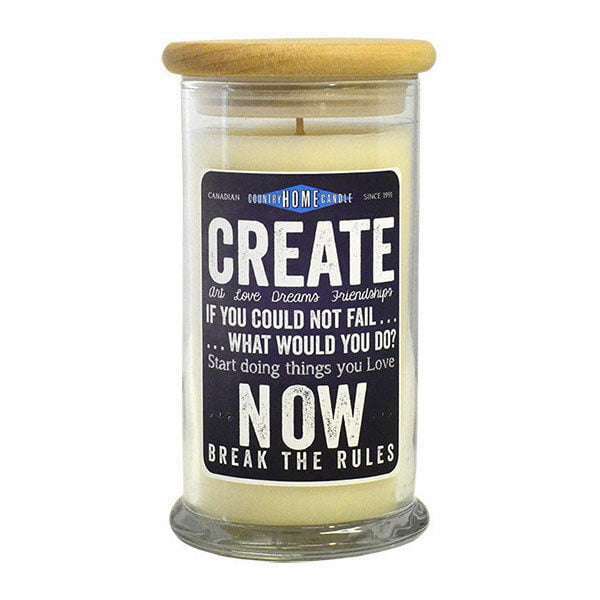 The CREATE candle has a Maple Cream fragrance infused into a unique vegetable wax blend. From the Country Home Life collection of inspiring candles, each candle has some inspiring sayings and a beautiful fragrance. Single-wicked 16oz candle in a glass container. Made in Canada(Ontario) by the the Country Home Candle Company in the small rural village of Delhi.